Another one saved and brought back to it's glory-BRAVO outside in!!! Posted: Thu May 10, 2018 9:38 am Post subject: furniture and carpet installation underway! 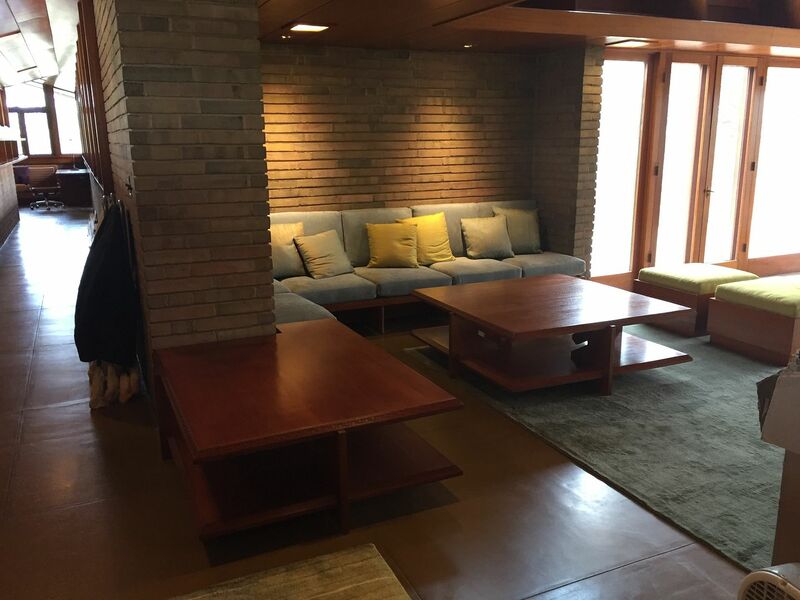 The Nakashima Conoid dining chairs and cushion lounge chair look great in just about any Usonian. Yes Roderick - its a wonderful house and has been overlooked - the fireplace is a Rumford design and works magnificently. 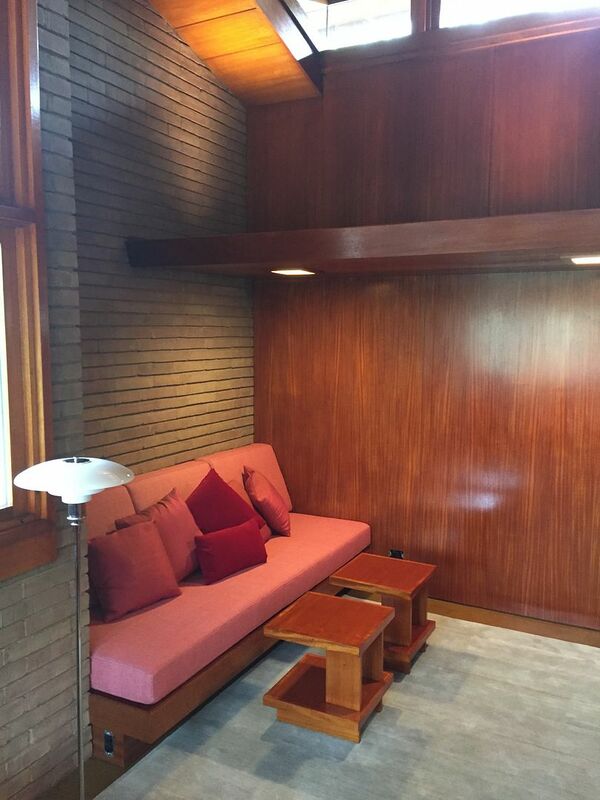 Hmm ... A Rumford fireplace designed by FLLWright? If so, it's the first I've come across. Was it a specific request by the client ...? 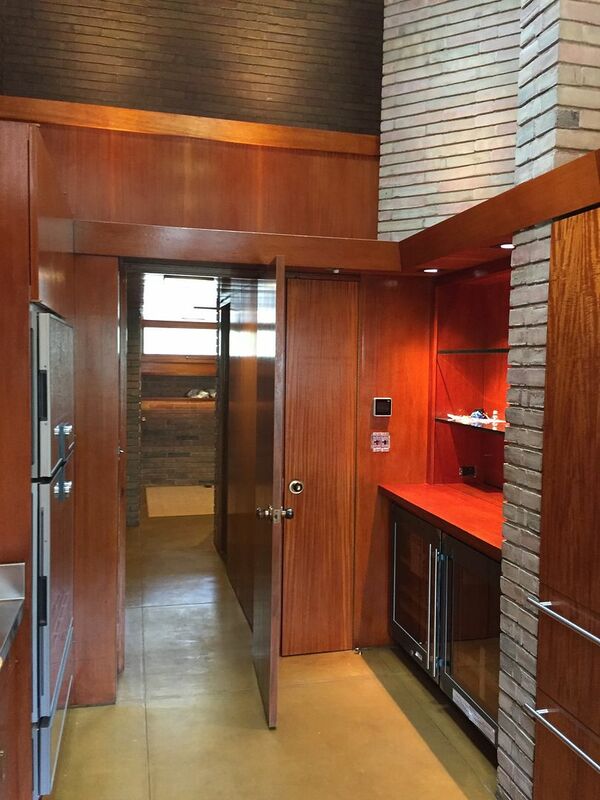 So, it appears that many of Wright's Usonian fireplaces might qualify as Rumford designs -- from what I see. We've commented in the past on the unusual height of some of those fireplaces; the shallow depth was not emphasized in our discussion, as I recall it. Was Wright aware that he was using a known precedent in fireplace design ? Did he mention Rumford, ever ? Or have I got the wrong end of the stick ? I doubt I've ever seen a FLLW fireplace built strictly according to Rumford Rules. And, they were designed to maximize heat reflecting into rooms ... hence the side walls set at 45 degrees to the back wall of the fireplace. 1. A plumb line dropped from mid-throat (both front and back, and equal distances from both sides) must fall precisely in the middle of the hearth, which should form an exact square, based upon the horizontal length of the back wall..
2. Install a smoke shelf to ensure a constant circulation of air ... 12 inches above the lintel and 3-4 inches wide (regardless of fireplace size) ... and the same width as the fireplace opening. 3. Smoke chambers are located above the throat of the fireplace. They must be as wide at their base, as the base of the fireplace opening. They should then slope upwards to the flue. 4. The inside area of the flue should be 1/10th the area of the fireplace opening. Square flues operate better than round flues. It is recommended that one should plan the fireplace based on the size flue available. Generally they come in sizes from 8" x 12" to 24" x 24"
5. The total thickness of the wall at supporting lintel should be no more than five inches. It should slope upwards to the throat and have a smooth face. 6. Don't locate a fireplace near a window. One of the pleasures of a fireplace is seeing the fire burn with a warm glow in a dark hearth. 7. Don't use steel ... as it absorbs heat, rather than reflecting it into the room. 8. Build chimney at least three feet above roof, trees, or other buildings. Observations on the forgotten art of building a good firesplace by Vrest Orton: 1969, based on Rumford Rules. So, the back walls should be "set at 45 degrees to the back wall of the fireplace" -- but the "the hearth [centered under the flue] should form an exact square." 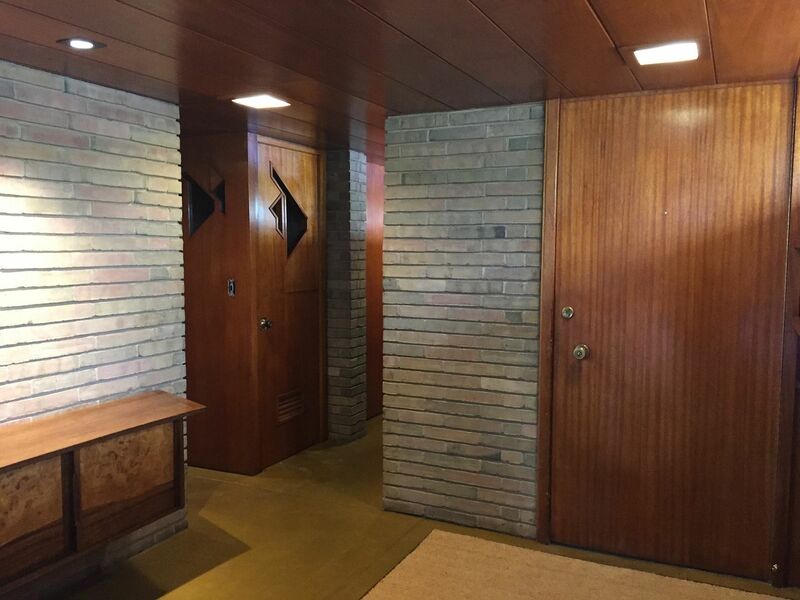 An expert examination of FLW fireplaces would be interesting. The (unbuilt) 'guts' of the Ennis living room and dining room fireplaces were intended to draw smoke up the chimney rather than into the room; I wonder if they would have worked. The tall opening of the Hanna living room fireplace, with the raised grate, seems to have functioned well. "Architectural Working Drawings" by Ralph Liebing and Mimi Ford Paul (John Wiley & Sons, 1977) includes a chart of measurements for single-faced, double-faced corner, double-faced opposite sides and three-faced fireplaces, small to very large openings, with plans and heights of interiors, not so much for optimal heating (we do have furnaces for that), but for efficient draw. 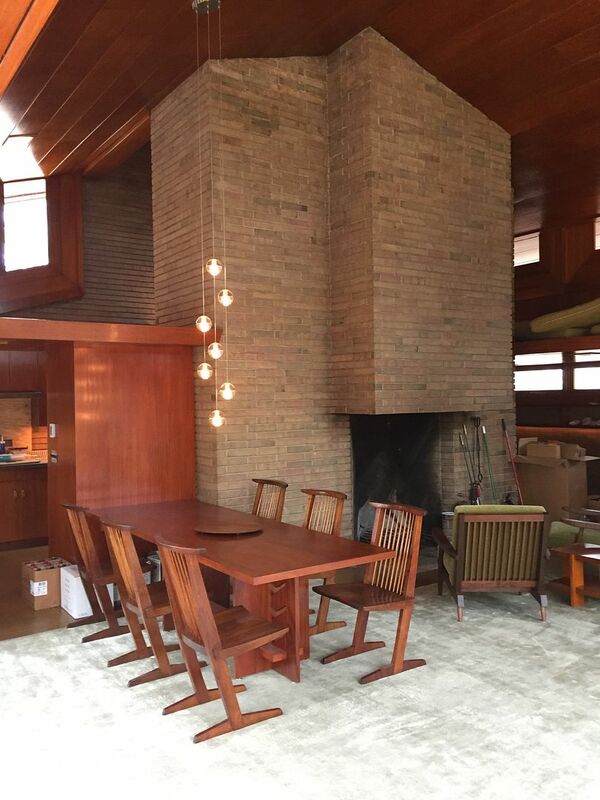 I have never built a fireplace, but I did have a dining room at an old address that had a fireplace with dimensions that fit the requisites, and it drew splendidly. After moving into the 'thirties gambrel-roofed four-square that I was raised in, my father determined that the fireplace would draw better if the opening was reduced. He built up the floor of the firebox with one course of firebrick. Not sure what or whom he consulted before that modification. Cords of oak were delivered, from time to time, and stored in the garage. 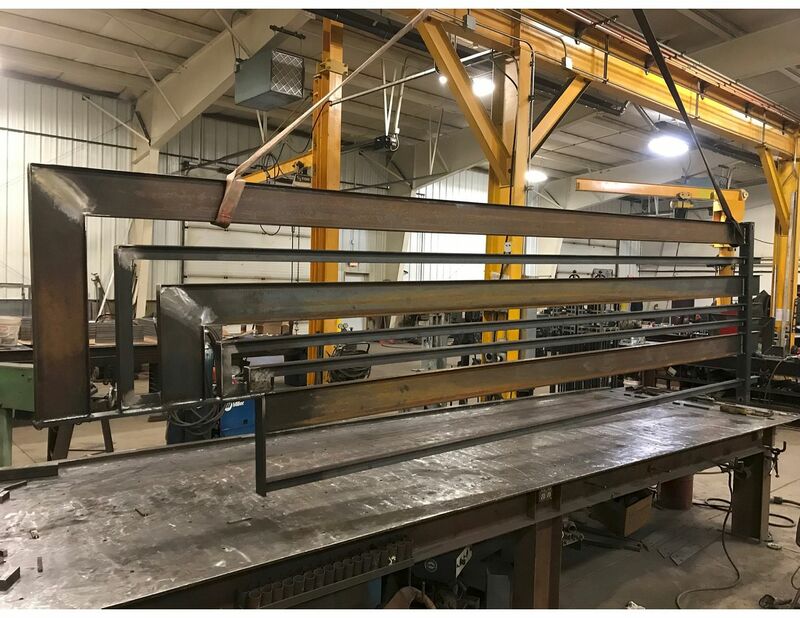 Entry gate designed by Wright but never built is currently being fabricated. The gate will be powder coated in Cherokee Red and installed in the Spring.